Catering to your taste buds with spicy Thai or Mexican food can mark the meal of your day, but the heartburn that follows soon after is not much of a welcome sensation, is it? Heartburn is a painful burning sensation in your chest that can keep you away from your favorite food, and up at night for hours. If you’ve spent too many nights sitting upright on the couch in discomfort, it’s time to gather some info and get ready to beat your next bout of heartburn. The lower esophageal sphincter (LES) is a muscle located at the base of the esophagus that normally allows one-way movement of food. After your swallowed food reaches the stomach through the esophagus, LES keeps it from coming back up again. When LES functions improperly, the stomach acid can flow back up into the esophagus, causing distress. Fatty, oily, and spicy foods along with alcohol and caffeine, in any form, are the biggest culprits when it comes to causing heartburn. Citrus foods along with chocolate, tomatoes, and peppermint can also cause heartburn. An unhealthy and inactive lifestyle can relax your LES and promote heartburn. While it has nothing to do with heart, heartburn symptoms are somewhat similar to that of heart disease or a heart attack, thus earning the name. The stomach acid used to digest the food is quite strong. Protective cells that line your stomach to protect it from this digestive acid are not present in your esophagus. So, when your stomach acid enters your esophagus, you experience a burning discomfort in your chest. Heartburn usually occurs after eating and worsens when lying down or bending over. Heartburn can be triggered as a result of a variety of factors, so the steps to preventing it may differ from person to person. Keeping away from foods that cause you heartburn is the first step to preventing it. Overeating increases the pressure on the sphincter and should be avoided to prevent heartburn. Therefore, keep about 2 hours between meals and bedtime and 3 hours if the meal is heavy. This allows the stomach to be emptied by the time you lie down. Being overweight also puts a lot of pressure on the LES, so exercising and eating a good diet to maintain a healthy weight can be beneficial in preventing heartburn. If over-the-counter medications are not doing much to treat your heartburn and those antacids are making the problem worse, you can use some tried-and-true natural home remedies that won’t add any extra expense to your budget. These natural remedies do not cause side effects like many of the over-the-counter meds. Unlike traditional medicines, your body won`t become reliant on these remedies either. Here are six easy and healthy methods to get relief from heartburn. A traditional remedy for numerous ailments, apple cider vinegar also proves beneficial in treating heartburn. It may sound counterintuitive, but apple cider vinegar works effectively because its acidic nature helps break down undigested food and can also be used for acid reflux. While not all acidic foods work this way, apple cider vinegar promotes digestion and eases heartburn. 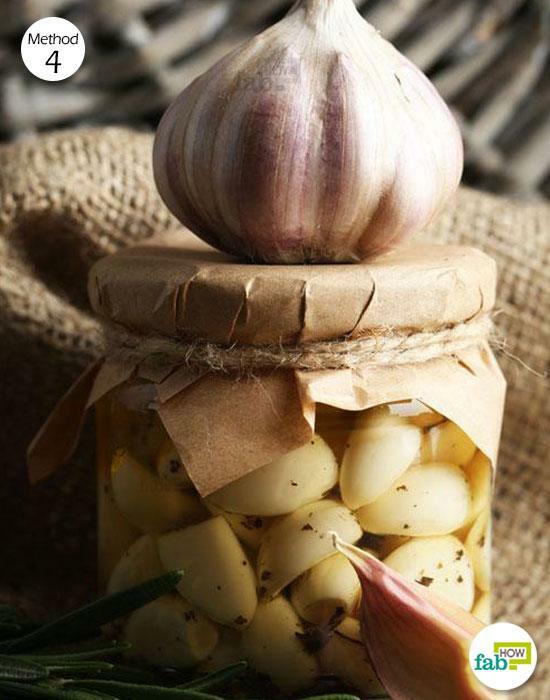 It treats heartburn at its root and keeps it at bay when consumed regularly in diluted form. Always go with organic apple cider vinegar with the “mother,” which contains probiotics that promote digestion. You can even learn how to make your own apple cider vinegar here. 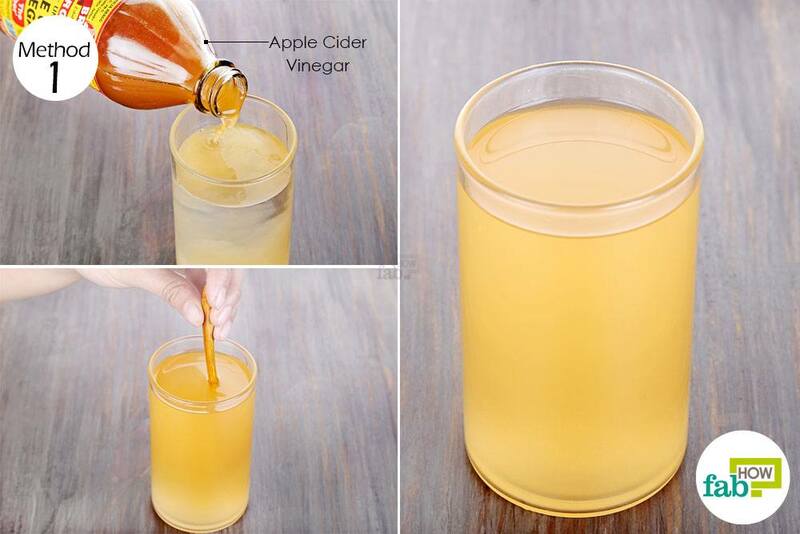 Add 1 tablespoon of apple cider vinegar to 1 cup of warm water and mix it well. Consume this drink twice a day on an empty stomach to rejuvenate your digestion and ease heartburn. If you consume this drink for heartburn right after a heavy meal, don’t down it in a go, but sip on it. The apple cider vinegar remedy will bring immediate relief from heartburn and can be taken as and when you feel the need. You can continue taking it for 4 to 5 days to prevent future bouts of heartburn and also improve your gut health in the process. 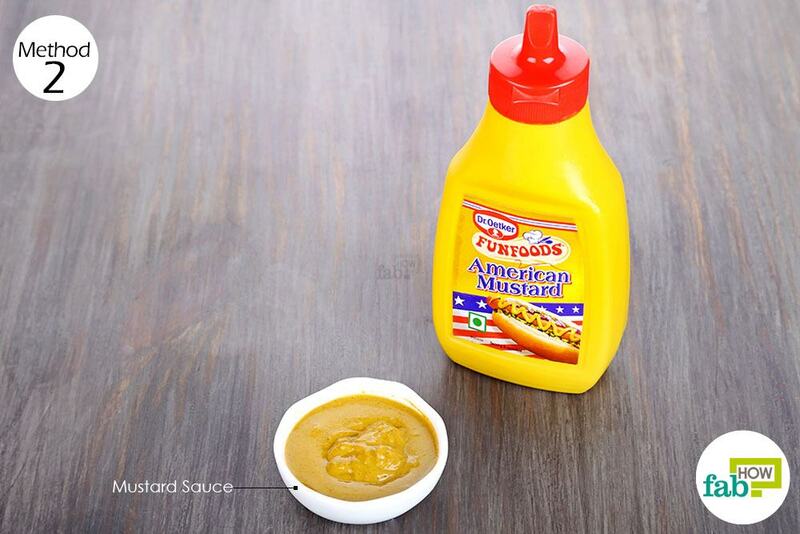 The next time you’re in the middle of a nasty bout of heartburn or feel one coming up, let yellow mustard come to your aid. While there are no studies to support this theory, mustard is a popular and effective remedy for heartburn. In fact, you can even use it to treat minor burns. The presence of vinegar in mustard is what makes it effective for treating heartburn. It stimulates salivation and improves digestion. Minerals such as iron, calcium, phosphorus, zinc, magnesium, and niacin present in mustard also promote digestion. Consume 1 teaspoon of plain yellow mustard directly. It may be too strong for your taste, but it will ease the heartburn. You can also take it with buttermilk or tea. You can combine it with honey to improve its taste. Consuming mustard will bring you relief within 2 to 3 minutes. Take a spoonful once daily to get rid of heartburn. Baking soda is a natural antacid that can neutralize the acid flowing into your esophagus, thus providing rapid relief from heartburn. It also helps you burp, which provides relief from gas and bloating. Baking soda can also eliminate bad breath that may result from frequent acid reflux. This remedy is best for getting relief when you’re experiencing a particularly bad case of heartburn. Taking baking soda along with honey makes for an even more effective remedy. The anti-inflammatory properties of honey have a soothing effect on the inflamed esophagus. Honey also stimulates digestion and is gentle on the stomach. 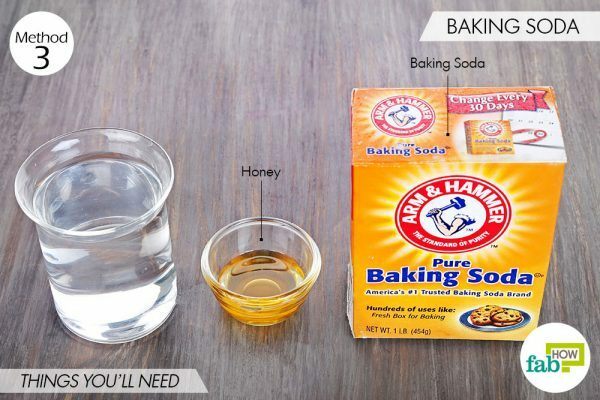 Pour 1 teaspoon of baking soda in 1 cup of warm water. 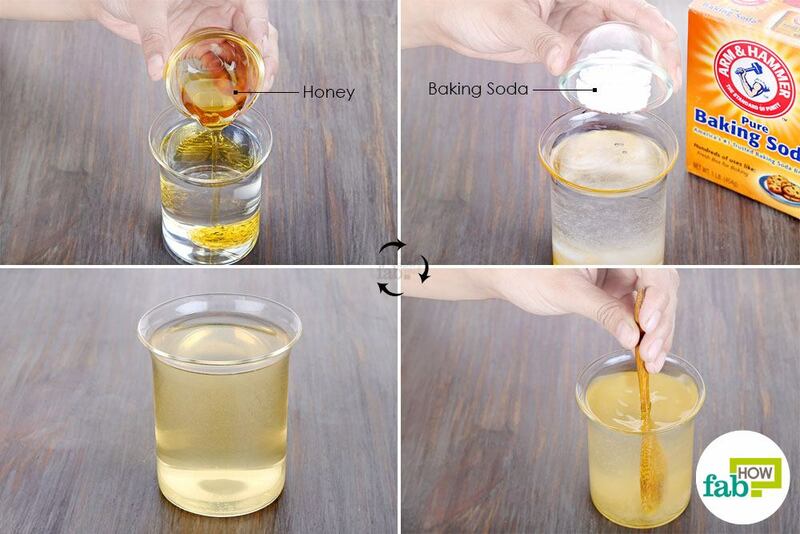 Add 1 teaspoon of honey to it and mix the ingredients well. Consume this mixture whenever you’re experiencing heartburn or whenever you feel acid reflux coming on. The baking soda and honey drink will bring immediate relief from the discomfort and can be taken 3 to 4 times a day. However, total daily consumption of baking soda should not exceed 5 teaspoons, as it could lead to dehydration and other side effects. Pickle juice contains sodium and vinegar, two things that can be your best friends when it comes to acid reflux. How this remedy works is quite similar to that of apple cider vinegar and baking soda. The sodium in pickle juice helps to neutralize the acid that backs up into your esophagus. The vinegar in it helps your stomach break down undigested food and push it forward through the digestive tract, thus emptying the contents of your stomach properly. This also prevents further bouts of acid reflux for a considerable period of time. Consume not more than 1 tablespoon of pickle juice at a time to treat your heartburn. Take pickle juice whenever you feel discomfort from heartburn. However, if vinegar-based foods cause your acid reflux to flare-up, this remedy may not be for you. An apple a day can definitely help keep your heartburn away. Apples are a very effective stimulant for digestion and can prevent heartburn by keeping the contents of your stomach down. The acidity of apples promotes a good environment for digestion in the stomach. Also, apples require a lot of chewing, which generates saliva. The delicious juices of apples also stimulate the salivary glands. This additional saliva, which is full of digestive enzymes, aids healthy digestion and can help neutralize the acid. Eat a fresh apple whenever you feel heartburn coming on. Additionally, consume an apple every day at bedtime and prevent the acid reflux from occurring while you sleep. 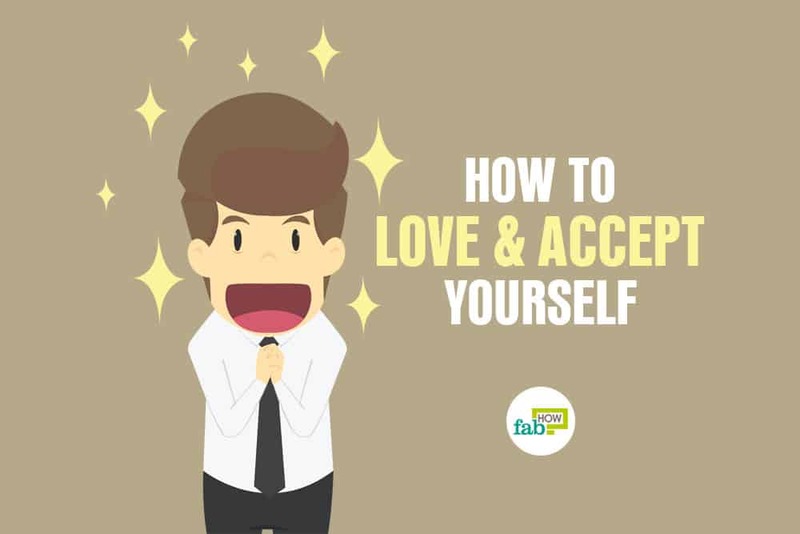 Continue eating an apple daily for 1 to 2 weeks to keep the flare-ups under control. Bananas are another fruit that can help you treat as well as prevent acid reflux and heartburn. 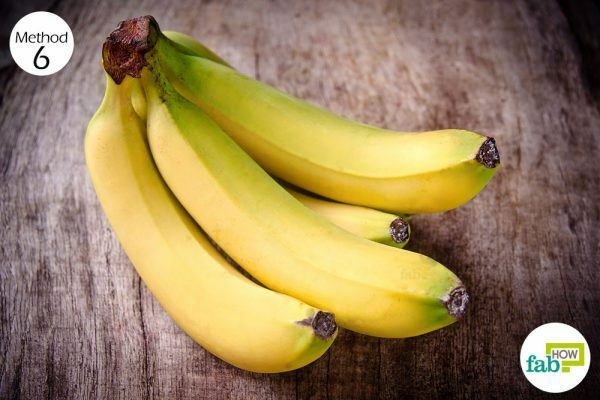 Bananas have some natural antacid properties that help neutralize stomach acid. This soft fruit also soothes irritation in the esophagus. Being rich in soluble as well as insoluble fibers, it’s quite an effective digestive aid and can prevent the conditions that cause acid reflux in the first place. Eat a ripe banana whenever you suffer from heartburn. You can also make it a habit to eat a banana before or after meals to prevent heartburn. Alternatively, you can incorporate it into your cereal or oatmeal, bake banana bread or muffins, or prepare a healthy banana smoothie to banish heartburn in a tasty way. Forgo apple cider vinegar if you have an ulcer. It can worsen your condition. 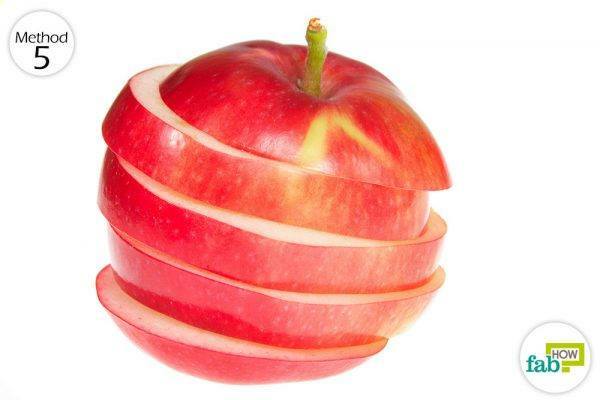 If apple peels are hard for you to digest, remove the peel before eating an apple or your heartburn may worsen. Find a remedy that suits you and stick to it, as what works well differs from person to person. To avoid heartburn caused by overeating, eat 5 or 6 small meals interspersed throughout the day instead of having 2 or 3 heavy meals. This will allow each meal to go down properly before you get to the next one. Take a short walk after having your meal, and afterward, keep your body upright for at least 1 hour before you lie down. If you’re overweight, losing a few pounds and achieving a healthy weight is recommended to ease the frequency of heartburn. Katz PO, Gerson LB, Vela MF. Guidelines for the Diagnosis and Management of Gastroesophageal Reflux Disease. Nature News. https://www.nature.com/articles/ajg2012444. Published February 19, 2013. Fujiwara Y, Machida A, Watanabe Y, et al. Association between dinner-to-bed time and gastro-esophageal reflux disease. The American journal of Gastroenterology. https://www.ncbi.nlm.nih.gov/pubmed/16393212. Published December 2005.